The Tornado gets a face lift - uh, drop? - with the introduction of the Rat Rod variant. Plus a reminder that the GTA Online 3-year anniversary is still ongoing. Making its way to GTA Online today is the Declasse Tornado Rat Rod, now available for purchase from Southern San Andreas Super Autos. The latest vehicle from GTA Online: Bikers, the Rat Rod channels the spirit of Declasse's hot rod designs into a gritty chariot of fire, built to set the streets of Los Santos ablaze. And check out this week’s Premium Stunt Race "City Air" - a turbo-charged adrenaline rush high above Downtown Los Santos. Strap into your Sports class vehicle of choice and receive Triple RP for competing, as well as a sizeable GTA$ payout for finishing in the top 3. Available today through Monday, November 7th. 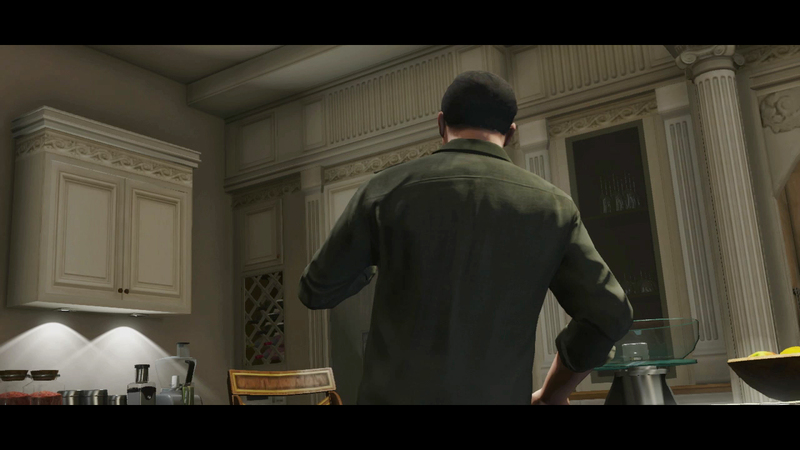 The GTA Online anniversary sale is still ongoing. Log in and take advantage of 30% off a wide variety of vehicles, weapons, and more from three years of GTA Online content. In addition, it's not too late to grab the Halloween-themed Twilight Knife and Butchery and Other Hobbies in-game T-Shirts. Simply jump into GTA Online by November 7th and claim yours. 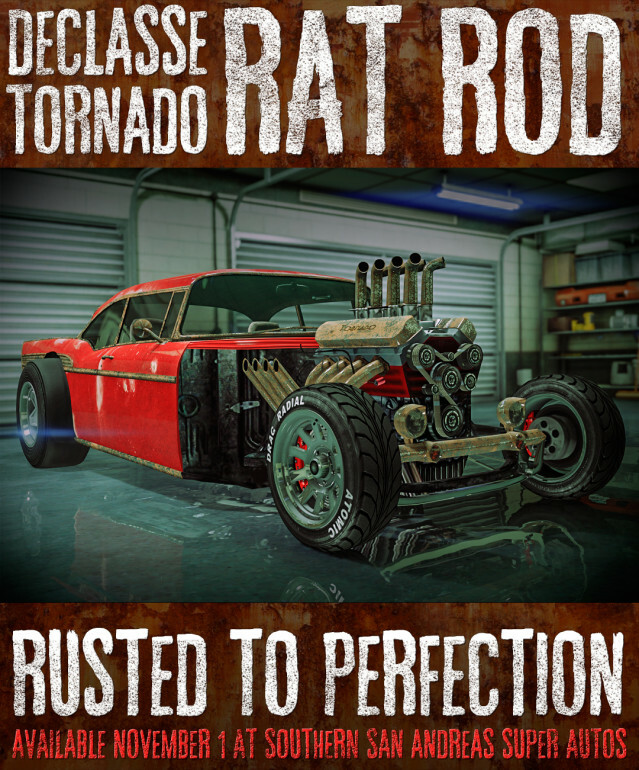 GTAO Bikers: Tornado Rat Rod - Another new vehicle from the Biker DLC is the Tornado Rat Rod which is now available for new-gen GTA Online.